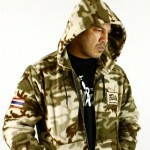 Comfortable hooded sweatshirt by Fairtex made using 100% cotton. 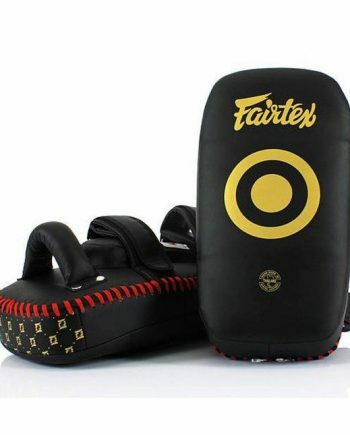 The word “Muay Thai” is written across the upper back region, a Thai flag is positioned on the right sleeve and there’s a Fairtex logo on the chest area. 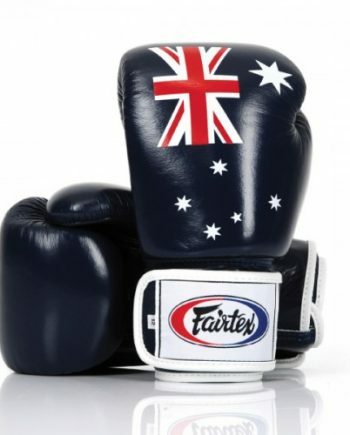 Available in either brown or green. Select your size and color preference from the drop down menu below.. 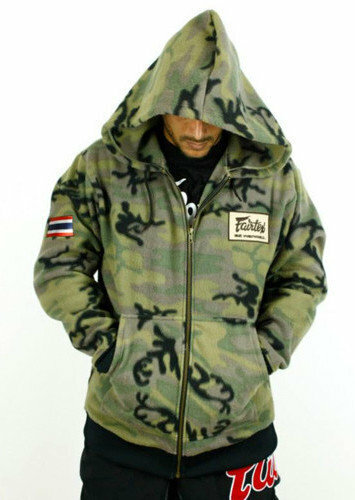 This camouflage hooded sweater by Fairtex is made in Thailand using 100% cotton. 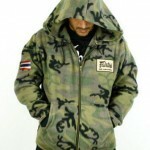 There are two color formats (brown and green), although the styling remains the same on both. 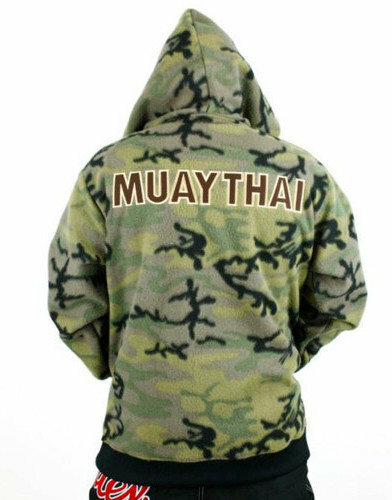 The words “Muay Thai” appear across the upper back/shoulder region and there’s a Thai flag is positioned on the right arm area. 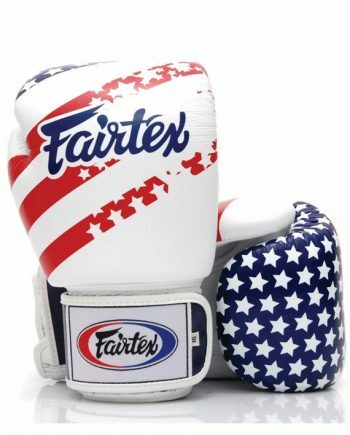 There’s also a Fairtex logo patch, which is positioned on the left side of the chest region. 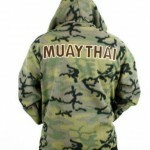 The sweater, as you can see from the photos, is incorporates a zip up enclosure and has pocket/pouch at the front. These hoodies are very comfortable. Select your size and color preference from the drop down menu above.